Think about how I should do 6 miles. Now if you look at those two grids… See how they are different? No, seriously – go back and look – I’ll wait here. Yup, although at first glance it looks like I did exactly what I was supposed to, the actual similarity is that they are both written in grid format. The contents? Waaaaaaaaaaay too different. I am thinking that I may need to do something about this if I plan on getting past mile 6 (or so) of the 26.2 miles that make up the Marine Corps Marathon. You can see how well the two grids match this time… They both have one row, and 7 squares… and have writing in them… It’s where the similarities seem to end. You would think I would be able to follow the plan for at least the first two weeks – apparently not! 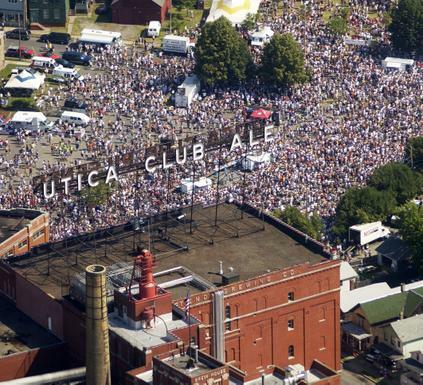 Sunday is the Boilermaker up in Utica. I have wanted to run this race since Highschool, so I am really looking forward to it. Based on my stellar training recently, I have decided to take it slow and easy to make sure I can finish it. I briefly debated going for the record (42:54 in 1997 by Joseph Kimani) but decided not to show up the other runners that way – It strikes me as rather rude to show up, run it my first time, and make everyone else just feel silly. So, Keeping the big picture in mind – this year my goal is to give everyone a false sense of security when viewing me as competition – I am hoping to finish in the top 10,000 finishers, with a time of 1:30-1:40. I figure THAT should really make them rule me out when sizing up the field in 2012.